The FBI in Chicago has dealt with some pretty heady issues in the past few years, from international terrorism to the high-profile indictment of Illinois Gov. Rod Blagojevich. Now comes the case of the missing puck. 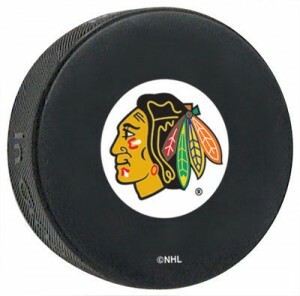 The FBI’s forensics experts in Chicago have been helping to try and locate the puck that passed through the net of the Philadelphia Flyers in Game 6 to give the Chicago Blackhawks the Stanley Cup, the Chicago Tribune reported. The Blackhawks’ Patrick Kane shot the puck to win the 2010 Stanley Cup. The Tribune reported that the puck went missing after it went into the net and the Blackhaws started celebrating. It hasn’t been seen since. Posted: 1/30/11 at 10:03 PM under FBI, News Story.